Funding a loss-making nursery for two years was the "wrong decision", the leader of Wrexham Council has admitted. Sprouts Nursery closed after just two years, despite receiving £245,000 from the council and Welsh Government. Council leader Mark Pritchard has denied the authority should apologise for backing the project. However Mr Pritchard added: "It's proved to be the wrong decision because the market wasn't there and we had to subsidise it." The council-run nursery on Rhosddu Road in Wrexham closed its doors in September 2017 having lost just under £94,000, accounts have shown. Council officials said its financial position was "no longer sustainable" despite being given £155,000 in Welsh Government grant funding. The nursery also received revenue support from the authority after it opened in 2015. Do UK parents pay most for childcare? Councillor Mark Jones, who represents the ward the nursery was in, said: "Despite using public money to undercut existing provision, it lost money in the first year, it lost money in the second year, but only closed down after last year's election." Mr Jones added: "At a time when this executive board is cutting services, it seems we were willing to throw good money after bad into Sprouts, even after we knew it was losing thousands a month." Lead member for education, Phil Wynn, told a scrutiny committee hearing on Wednesday: "I could not defend the running of a public sector entity that was in direct competition with private sector. "We will learn lessons going forward and I hope we will never repeat the shortcomings which led to that." 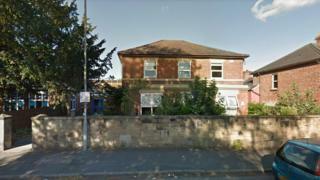 Some councillors raised concerns experts' opinions were ignored before the nursery was launched. The committee agreed future projects should ensure all necessary consultation is carried out with stakeholders beforehand.